I am so excited to release my edition of Jodi Avery’s A-List, which includes the best of the best service providers, as well as some of my favorite places to go with my family in the Tampa Bay area. We live in such a wonderful community with so many things to do. I have listed places to go both indoors and outdoors, adventurous and relaxing. I will highlight a few of my top places and the other 30 you can find by logging onto my website. I promise you these are some amazing places and you won’t be disappointed. Click on the highlighted words for more information and links to each activity. One of our favorites is Treeumph in Bradenton. This is another adventure and obstacle course, but this time you are up in treetops. They have five progressive courses with wobbly bridges, hanging nets, swinging logs, foot bridges, Tarzan ropes and ZIP lines. You won’t get bored here! Kids as young as seven can do the courses. Prices for kids 9-11 are $36.95 and adults $54.95 kids 12 and up. Families that fly together, stay together. Yes, we actually go flying and it’s amazing. If you haven’t tried Ifly, I highly recommend it. You are floating on air. It’s an experience you can’t explain, but have to try for yourself. You fly in a wind tunnel and put on the gear including a flight suit and goggles. Flights start at $59.95 per person for two flights. They are located next door to TopGolf in Tampa. We love going golfing together. Topgolf is a great place to go as a family. It is located in Tampa. 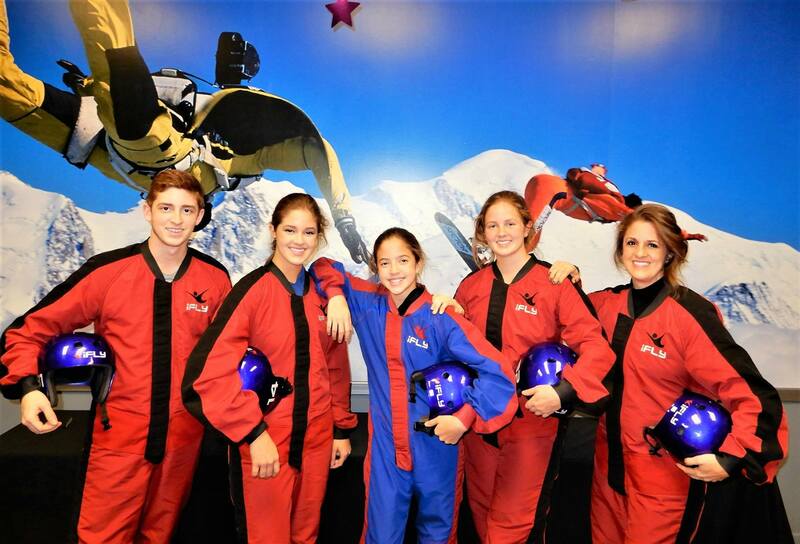 We love going there and seeing who can get the highest score. The golf balls are microchipped and the range is like dartboard, just the targets are on the ground. You can bring your own clubs or rent clubs for free. The range is outdoors, but you are hitting in a climate controlled area. During the week you can get a bay from 9-noon for $15 per person. Nights cost more. Another place we love to go is Vertical Ventures in Tampa. This is an indoor rock climbing gym with more than 6,000 sq. ft. of climbing. This a total body workout. 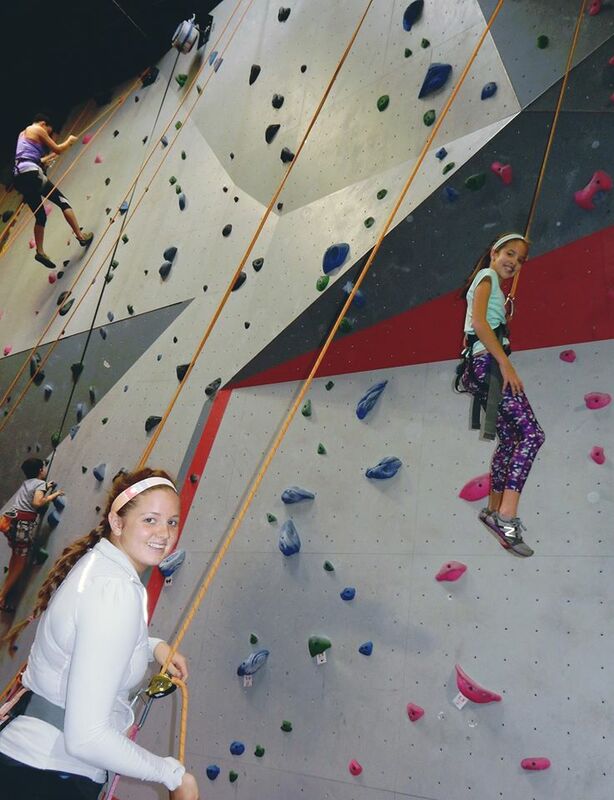 There are walls you climb and routes to tackle throughout the building. If you’ve never been you may want to go online and register for the intro belay class. Here you will be taught everything you need to get started. If you don’t need the class and want to climb right in go for it! Regular admission for adults is $16 and kids under 12 are $12. This includes the harness. We love exploring things as a family and had a blast in downtown Tampa with the Magic Carpet Glide. It’s one of the latest ways to experience a tour of the great city on a segway with an experienced guide. You need to make reservations and the tours last 1.5 to 2 hours. You can even do a sunset tour or a night tour. Prices start at $55 and the tours are out of Tampa near Channelside Drive. My kids and I enjoy being on the water and fishing. What I love is going fishing and having everything set up and ready to go…where all I have to do is put on my sunscreen. 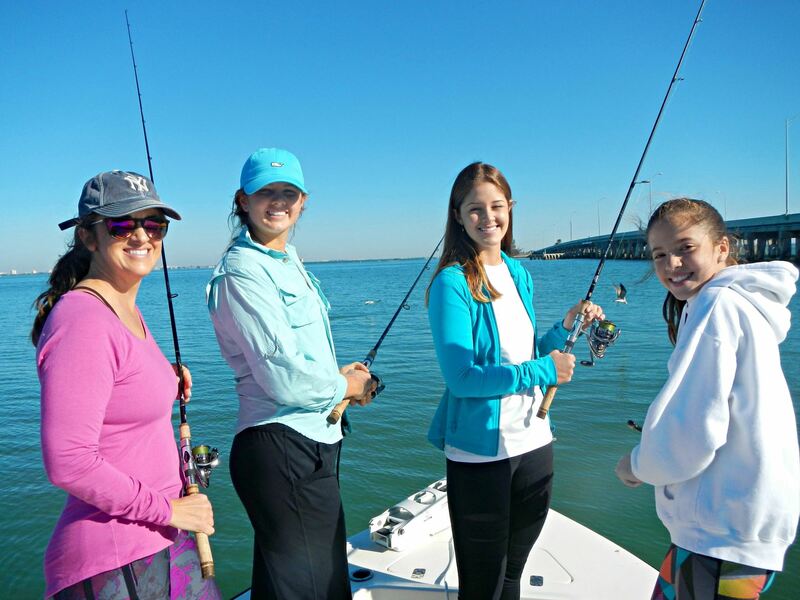 We love to go out on the boat for the day with Go Florida Fishing and Captain James Goodwin. We always know we are going to catch some fish and have a great time when we go!! How about taking a ride on the river? 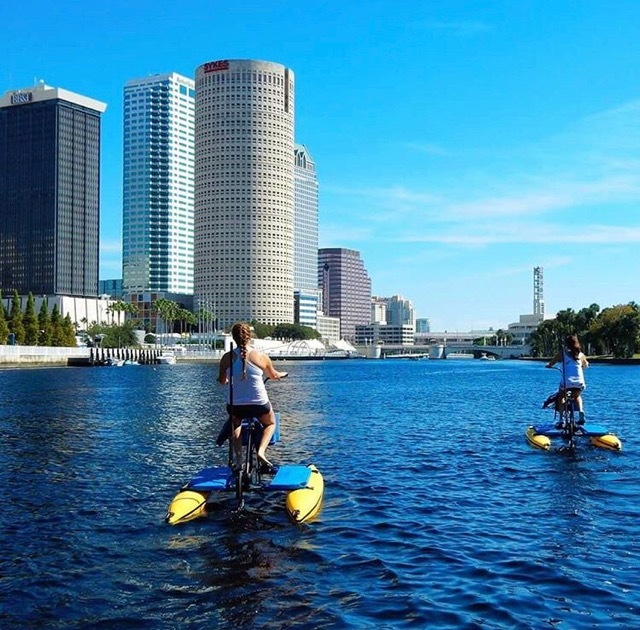 You can on tandem water bikes with Tampa Bay Water Bike Co located on the docks of the Tampa Convention Center. We have a blast when we go! They even have biyaks which are pedal kayaks. Prices start at $30 an hour and if you book online you can get 10% off. If you love animals, there’s a place in Tampa where you can get up close and personal with lions, tigers, bobcats and cougars at the Big Cat Rescue in Tampa. There are more than 80 plus cats that have been abandoned or abused and are cared for at the Big Cat Rescue. If you haven’t been to Britton’s Archery in Tarpon Springs you are missing out on a fun family adventure. They have 20 yard outdoor ranges and 10 shooting lanes. This is something for all ages…not just adults. If you have never been before check out their introductory special with equipment, the range and a free lesson on the basics of archery for $15. It’s safe and lots of fun! 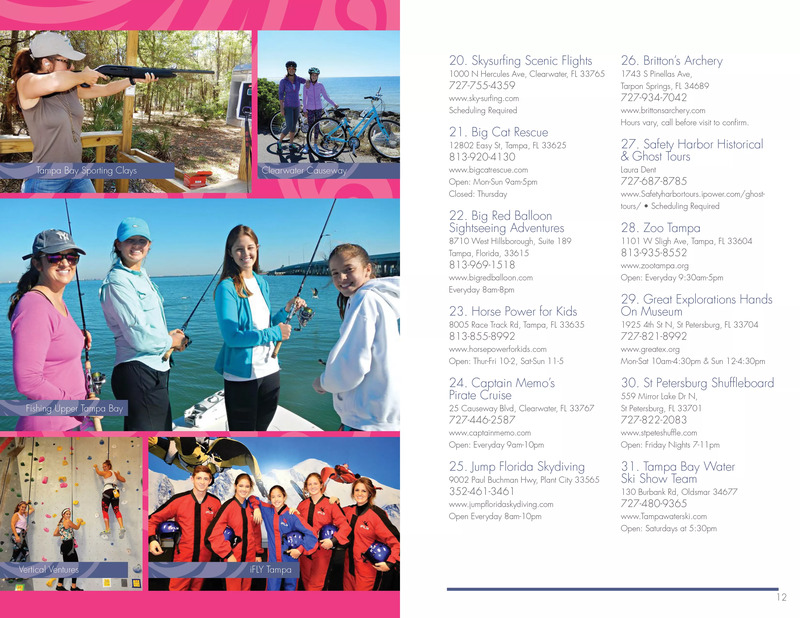 Did you know in Oldsmar you can watch free water ski shows? 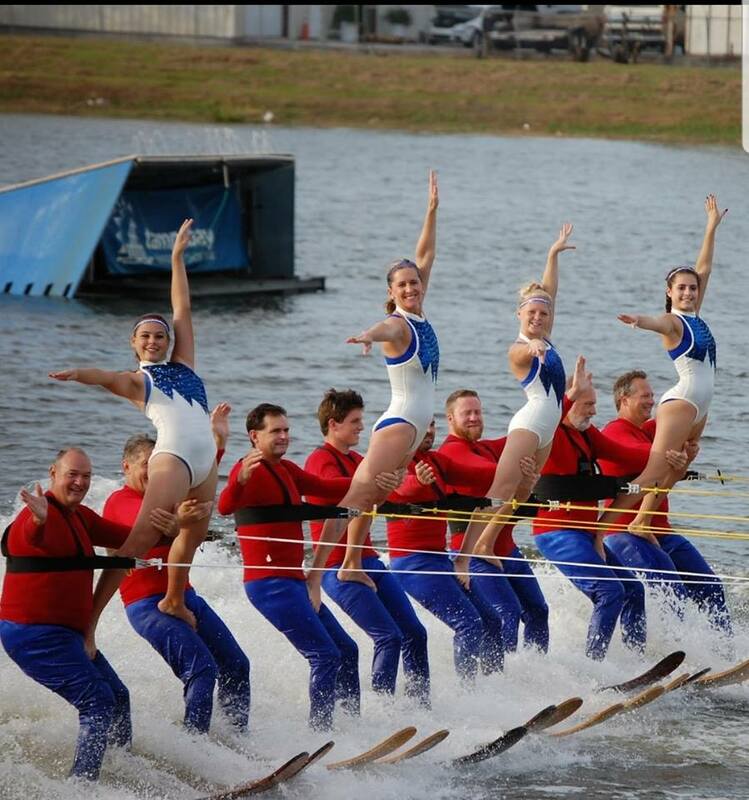 Tampa Bay Water Ski Team has water ski shows weekly. They have more than 100 members who ski from age 6 to 60. Shows start in March and are on Saturday at 3:30 with a preshow. 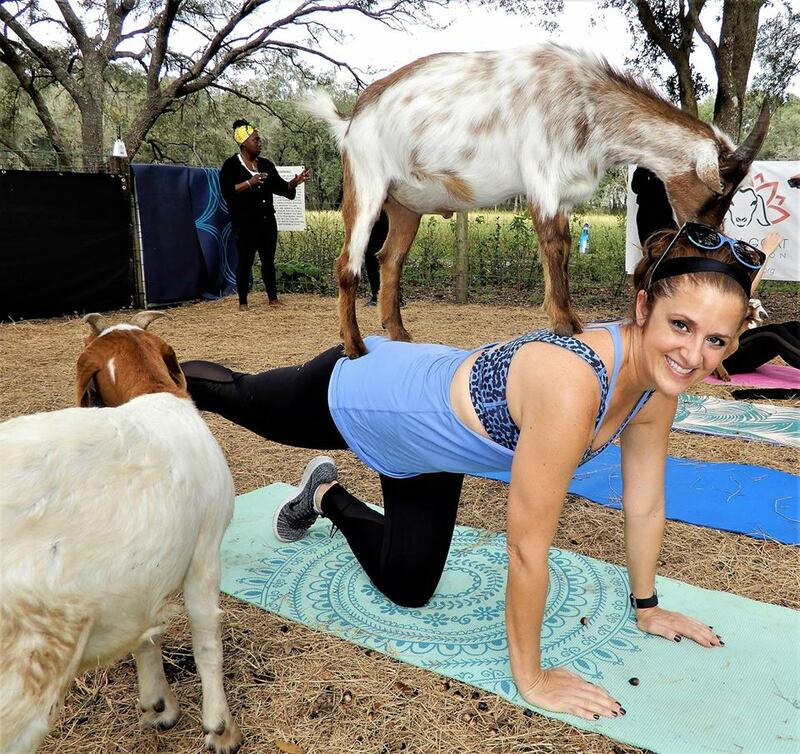 Another place we love to go and workout is at Grady Goat Yoga Tampa Bay. It is in Thonotosassa, Florida about 20 minutes from downtown Tampa. It’s a blast! All you need is a yoga mat. There are 30 plus baby goats roaming around the property and other farm animals. It’s the only goat yoga and Florida! It’s $35 for an hour of fun and you can get your tickets online. Don’t forget to go to my website for some more amazing places to go. If you would like a copy of the 2019 Jodi’s A-list let you can download it by clicking here or call me and I will mail you a copy. Remember if you or a friend are looking to buy or sell give me a call at 727.238.9660 or email me at jodi@jodiavery.com. And if you need a referral for a reliable service provider, just ask me or check out Jodi’s A-list on my website.